My children are nine years old, six, almost four, and two. I have children reading everything from chapter books to early readers to picture books to board books. Our bedtime routine allows for everyone to pick one book for me to read before bed and all these types of books are usually represented in the selections. This week we discovered an author and illustrator so versatile that her books provided something for each of our reading interests. Grace Lin has published over 30 books for children including The Year of the Dog (a chapter book), Ling and Ting: Not Exactly the Same (an early reader book), Red is a Dragon: A Book of Colors by Rosanne Thong (a picture book illustrated by Grace Lin), and Dim Sum for Everyone (a picture book that will be available as a board book in September 2014!). Her first book The Ugly Vegetables was published in 1999 but her first writing success came much sooner. 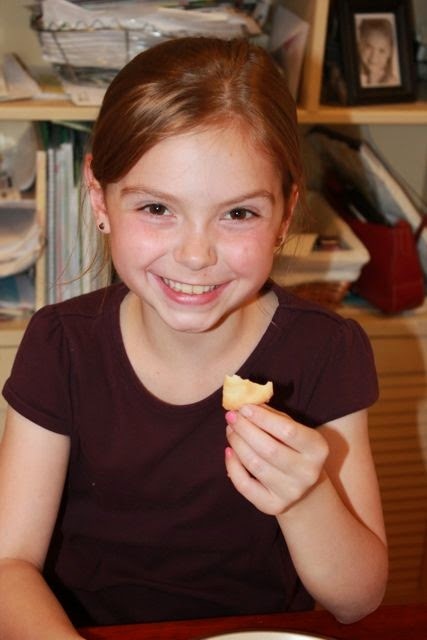 "In sixth grade, I wrote and illustrated my own book and entered it into a national contest. I won fourth place and $1,000." (Teaching Books). Grace went on to say, "I was so excited and happy that I decided then and there I wanted to make books for a living. That's what I wanted to do, and that dream just never died." After The Ugly Vegetables, Grace continued to publish picture books until she couldn't fit one of her story ideas within the tight structure of a picture book. The result was The Year of the Dog (2006), a chapter book based on her own experiences as a child. Then came two big awards for Grace Lin; the 2010 Newbery Honor Award for Where the Mountain Meets the Moon and the 2011 Theodor Geisel Honor Award for Ling and Ting: Not Exactly the Same. Grace Lin certainly has an execeptional book for everyone of all ages! 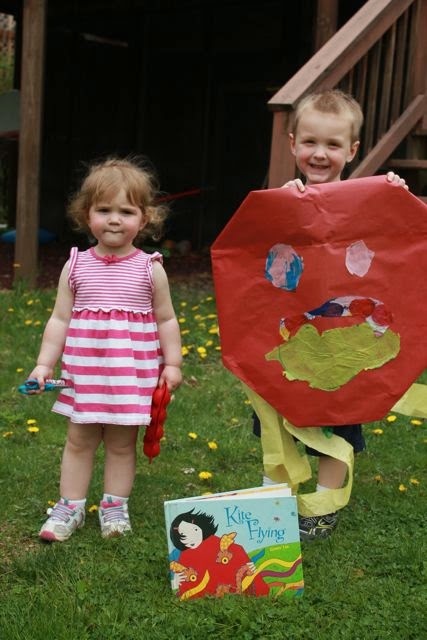 This week, the first book my family enjoyed together was Kite Flying. 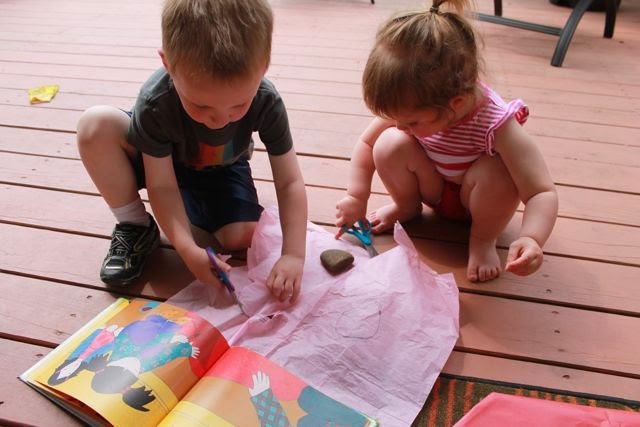 This picture book was perfect for my two and three-year-old children. 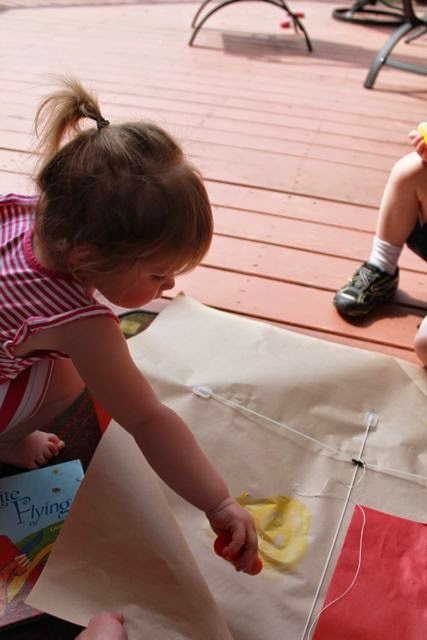 The bright illustrations were full of movement with blowing wind and a flying dragon kite. 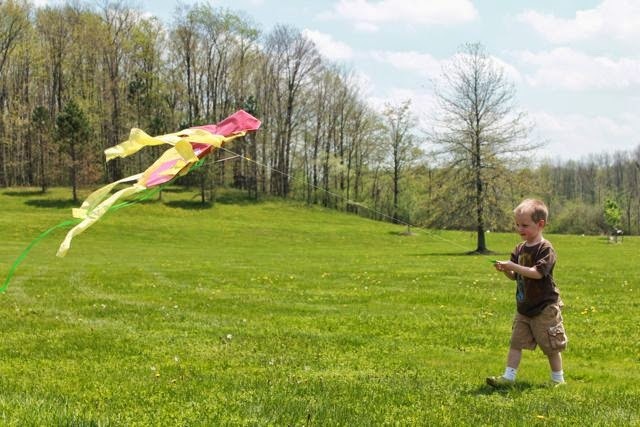 Kite Flying is about a family that builds a kite together, step-by-step. 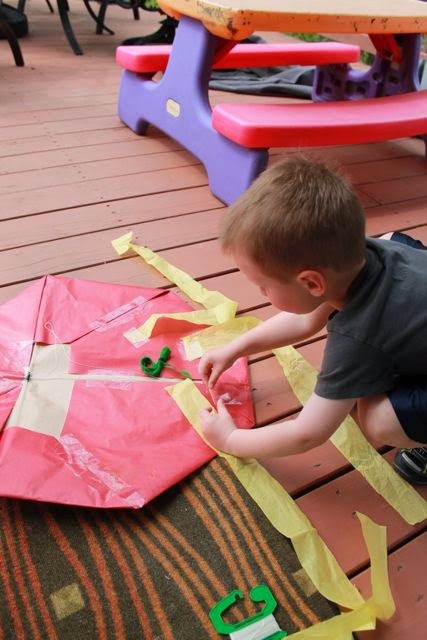 The kite-making family was confident in their kite-making skills and asked "Dragon, are you ready to fly?" 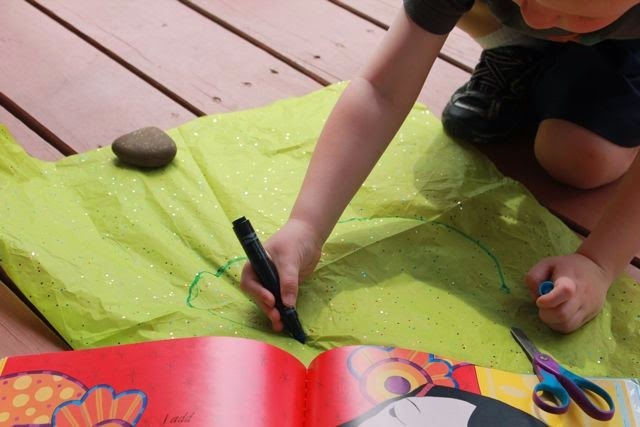 It was hard for me to read this book and not want to make a kite with my children too. However, I was not as confident as the family in the book. What if we made a kite and it didn't fly? I studied the illustrations in the book, consulted kite-making tutorials and video how-tos. 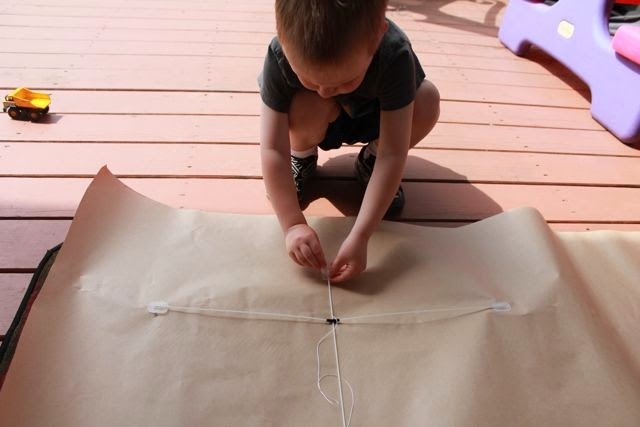 After all that I learned, I found all the materials necessary in the garage to make a kite very similar to the one in the book. However, I decided to modify the plans just a little. 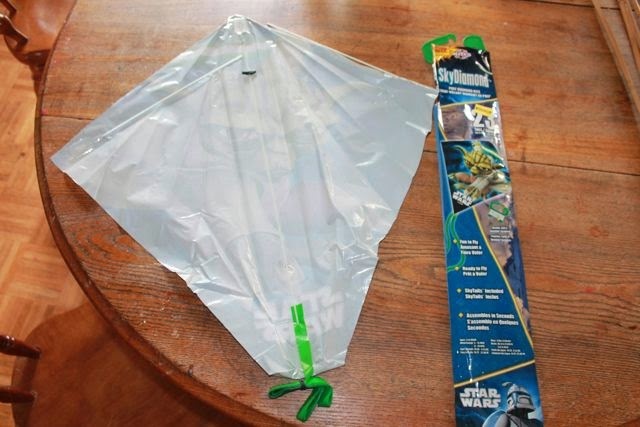 I took a plastic kite that we had in the garage and used the plastic braces as the basis for our kite. In the book, the family used wooden sticks to make the cross of their kite. We taped the plastic cross to some wrapping paper that was left over from the holidays. 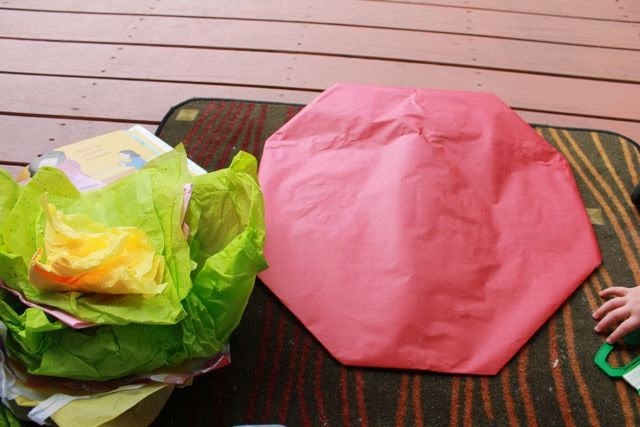 Then, we folded and glued the paper into a kite shape. 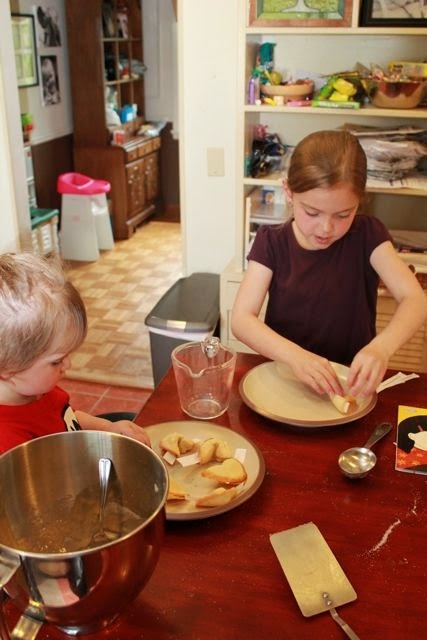 I was lucky to have two really good helpers! 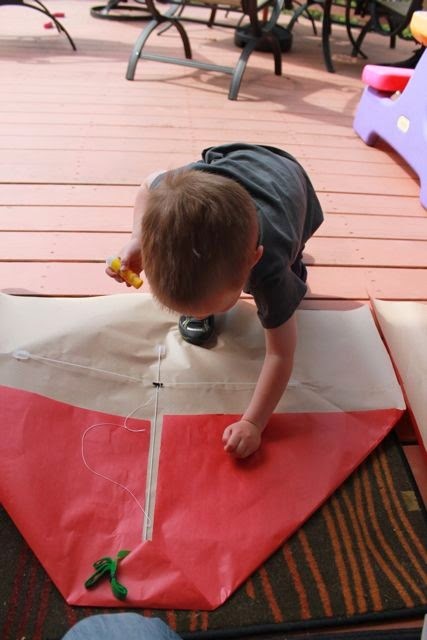 Our kite shape was completed quickly. At this point, I was happy with my decision use the plastic braces. 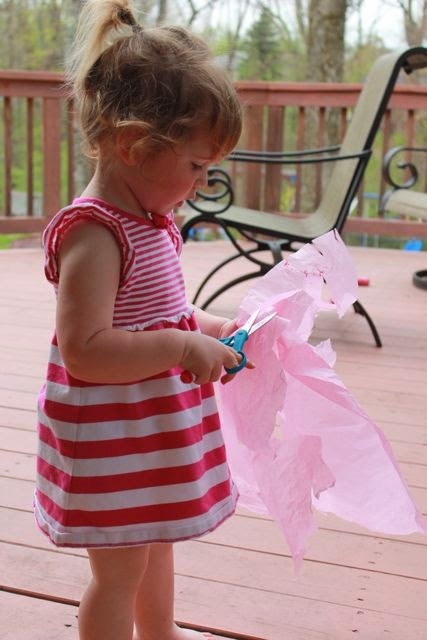 Everything went really smooth for my little ones and their kite-making-novice dad! 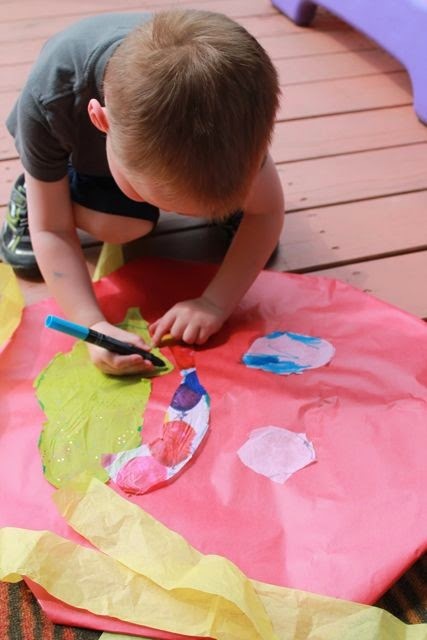 My son drew a "laughing mouth" on tissue paper just like the book. He then cut out "dragon eyes". Lastly, he glued on "whiskers". She helped her brother every step of the way. He added a few final details with his marker. 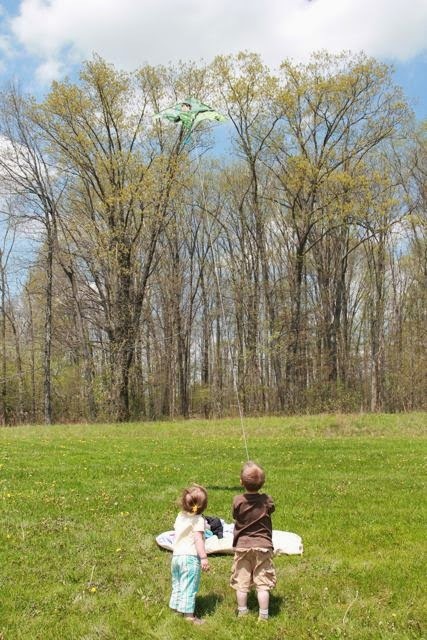 Their dragon kite was complete. 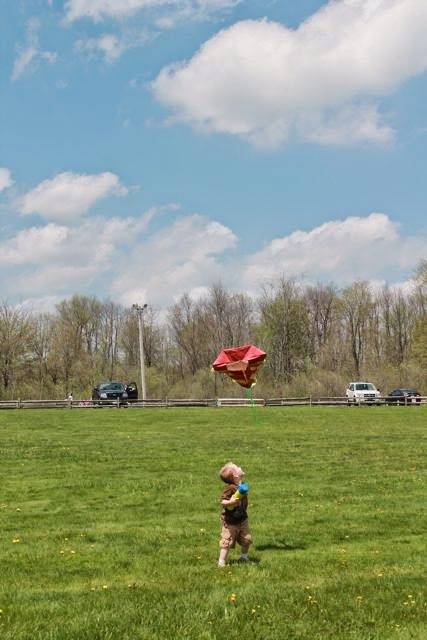 However, our attempts to fly the kite in the backyard were unsuccessful. There just wasn't enough breeze. I told them, "We have to wait for a windy day." In the meantime, we had more books by Grace Lin to read. I really enjoyed The Year of the Dog and my boys thought Ling and Ting: Not Exactly the Same was hilarious! As a family we enjoyed Fortune Cookie Fortunes together. 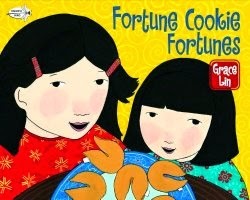 In this book, the same family from Kite Flying enjoys fortune cookies at Chinese restaurant and wonders whether the fortunes come true. 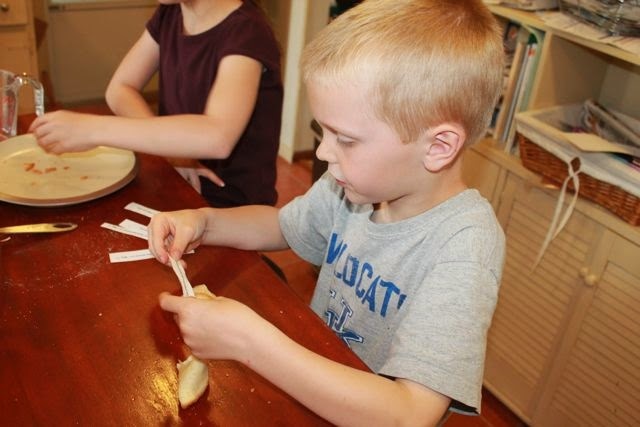 We wanted to find out for ourselves if the fortunes in fortune cookies would come true so we decided to make a batch of homemade fortune cookies! Prepare your fortune paper strips before you begin. Type or hand-write fortunes on a piece of paper about 4" x 1/2". 1. Preheat oven to 400 degrees. Generously spray cookie sheet with cookie spray. 3. Sift in the flour, sugar, and salt. Then, blend everything together. 5. Tilt tray to form the batter into a flat circle. 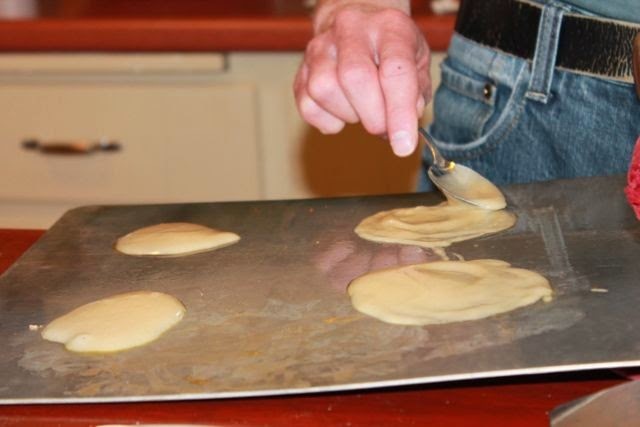 If your batter turns out thicker it will still work. Use a spoon to spread out the batter. 6. Bake for 5-6 minutes or until the edges of the batter start to brown. 7. Remove sheet from oven and use spatula to remove cookie. 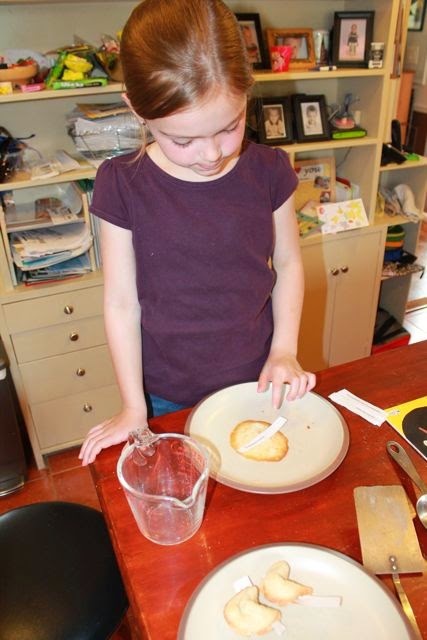 Flip cookie onto a plate so you see the browned bottom of the cookie. Place your fortune on top. 8. Fold cookie in half. 9. 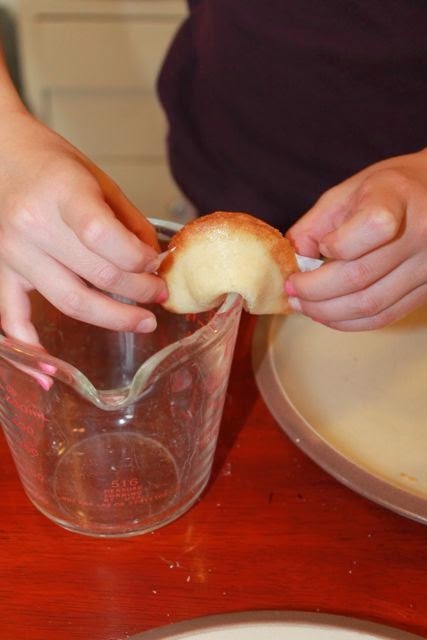 Use the side of a bowl or measuring cup to crease and fold the cookie in half again. It helps to pinch from the corners. (The cookie will be very warm! Be careful when working with your children.) You will need to work fast because the cookie will quickly harden. 11. Remove the next cookie from the tray and repeat the folds. 12. Enjoy your cookies with your family and friends! 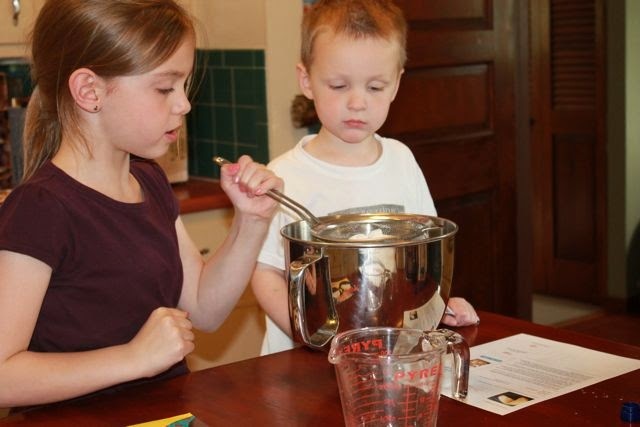 The brother and sister team sifted the flour together. She quickly folded the cookie in half. 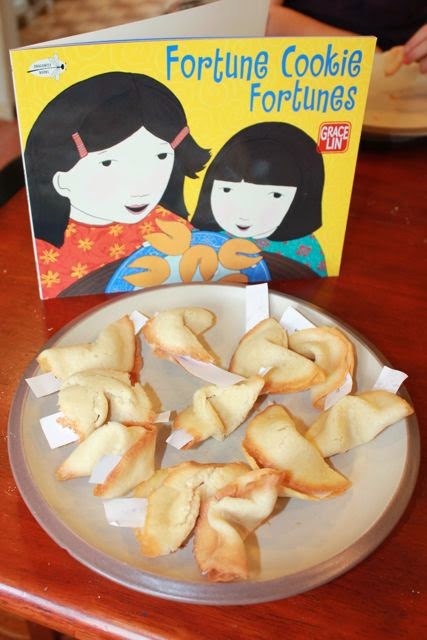 She found making fortune cookies challenging because you had to work quickly before the cookie hardened. 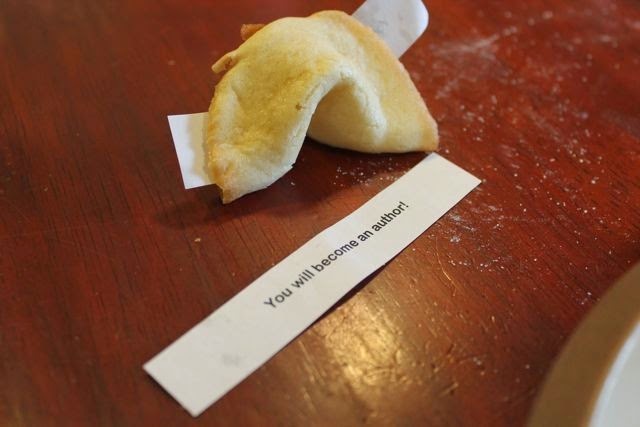 The fortune cookie was formed by folding it over the edge of a measuring cup. Our batter came out thicker than I wanted. I think we beat the eggs too much. The cookies still tasted great. I just needed to use a spoon to form a circle instead of just tilting the cookie sheet from side to side. 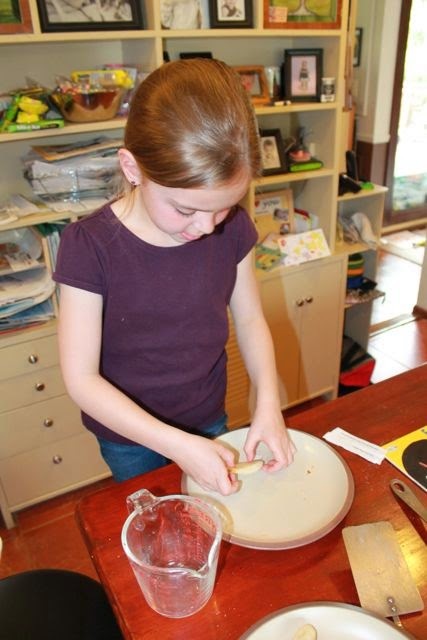 She quickly got the hang of making the fortune cookies! Pin this picture if you are on Pinterest! Follow Happy Birthday Author! This looks like a great fortune! This one too! 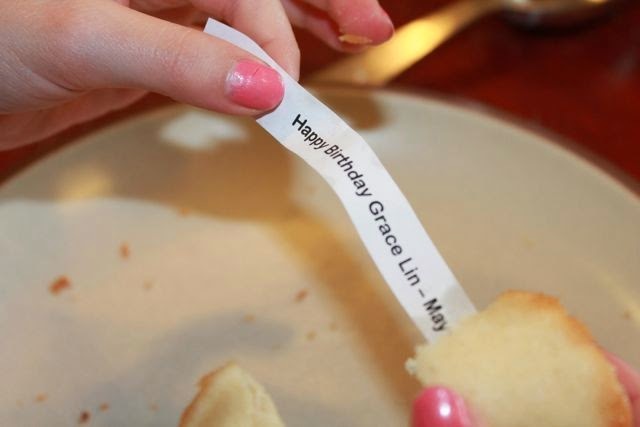 Our family hopes Grace Lin has a very happy birthday! We had a few days of rain and yucky weather. But, then we had a beautiful sunny spring day. Was our dragon was ready to fly? Thankfully it did! 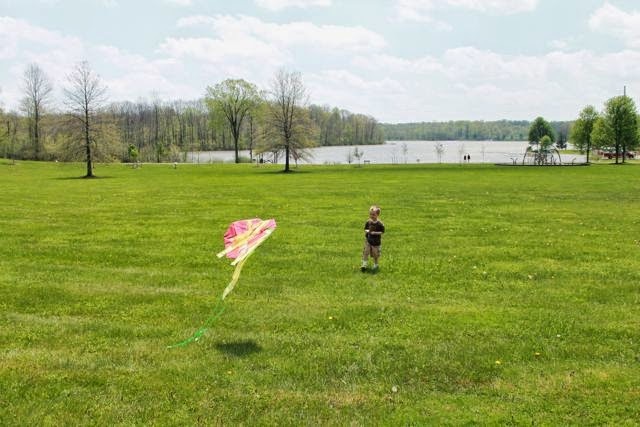 The conditions were perfect for kite flying with a breeze coming off a small lake near our house. 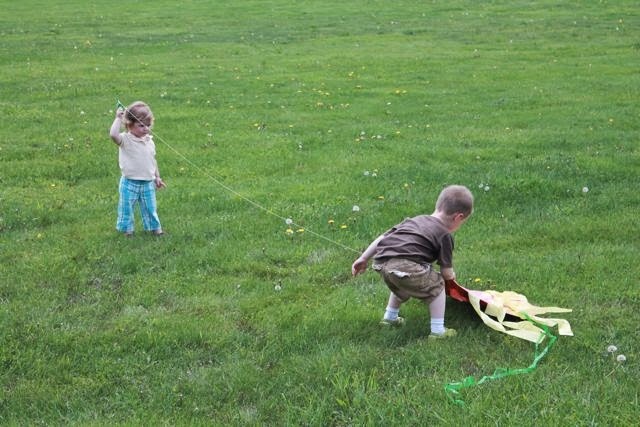 My son was quickly an expert and tried to help his sister fly the kite. 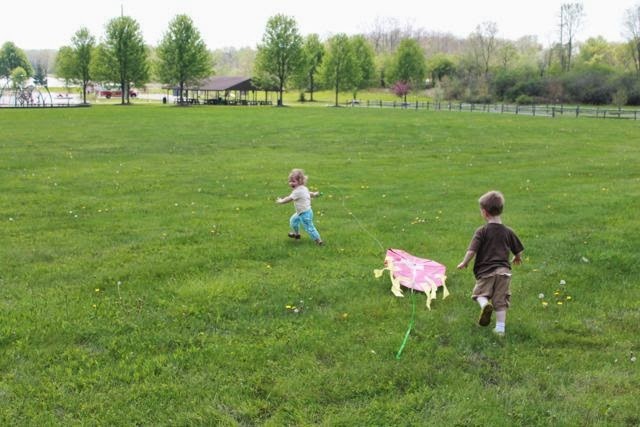 However, she thought it was more fun to just run with the kite! Now, for full disclosure -- Our kite was not the prettiest flying kite. It was actually quite wild. It spun around a lot and dove to the ground often. I did bring another kite just in case our dragon didn't fly. We flew that one too! Whew! 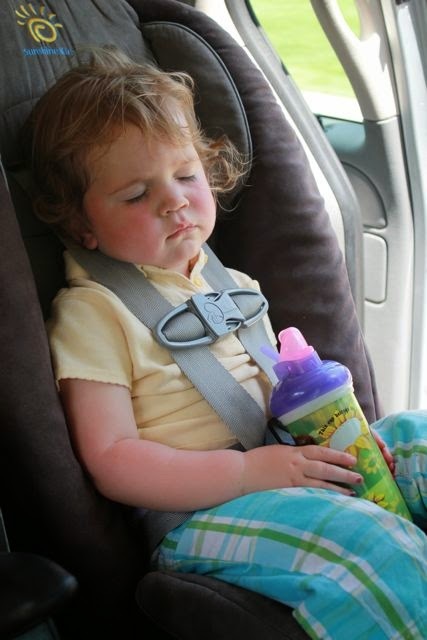 Kite flying was hard work! Grace, our family wishes you a very happy birthday. We were so happy to hear you speak at the National Book Festival (video below). 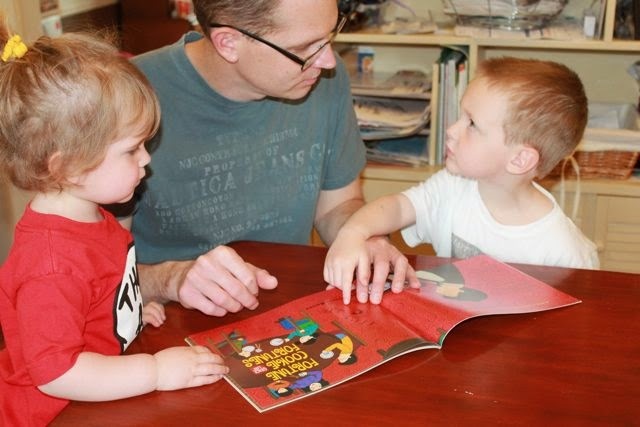 Thank you for making books for our whole family to enjoy!